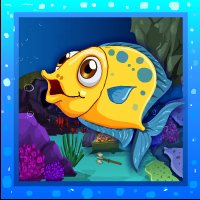 G4E Deep Sea Fishes Rescue Escape is another point & click escape game developed by Games4Escape. In this game, fish are locked in 5 stages. You have to find the key to coming out of these locks with the help of useful objects to interact with and by solving puzzles. Good luck and have fun! I had to look at the WT to get the answer to the animal/number puzzle in the last scene. Still don't understand how it works.